Two weeks ago I started a pretty strict diet regimen in preparation for the holiday season and an impending trip to the Bahamas! 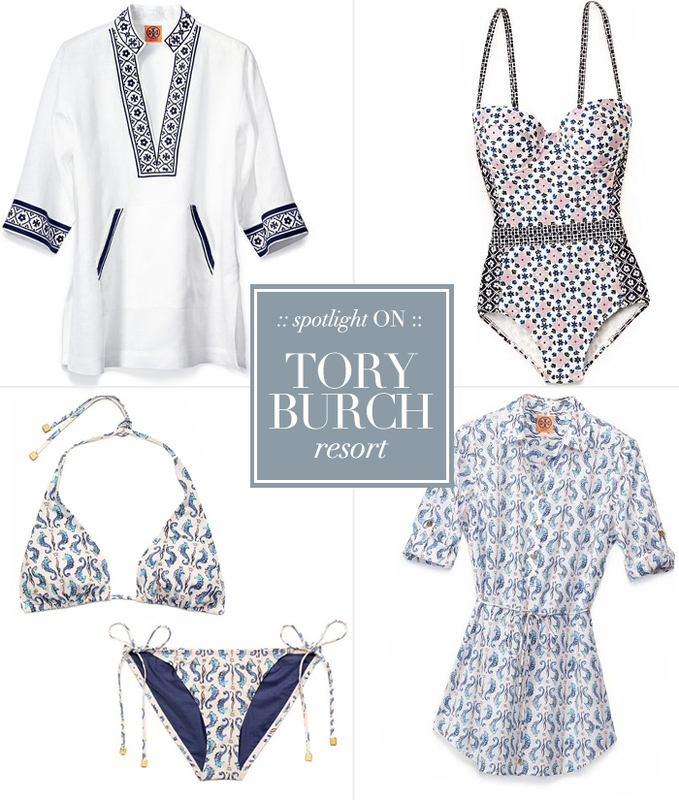 In addition, I’ve been scouting out some new bikinis and cover-ups for the vacay, and fell in love with these amazing pieces from the Tory Burch resort ’13 collection. The color scheme is right up my alley, and I’m all over the adorable prints! For a more sophisticated beach look, I want to get this mixed-print maillot and the clean white + navy coverup. For a more playful look, go with the seahorse print bikini and matching belted tunic. Which is your favorite? That seahorse print is just winning me right over! Good luck on your diet (but you also look great the way you are!) Tory Burch can be hit or miss but this collection is great. The linen coverup is really cute but the way the fabric stands away from the body (as shown on the model) is a little weird looking. I like how the belted tunic is softer.